The white upper cuff has more torsion flexibility to release the leg above the ankle providing greater accuracy and comfort. 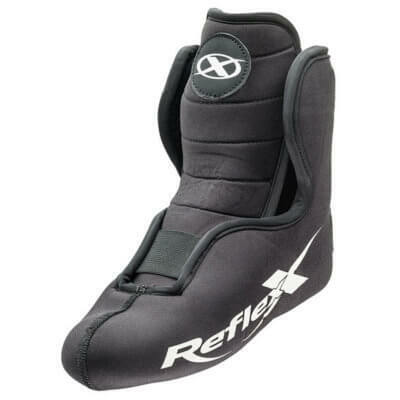 Also, the white cuff allows the skier to move more on the rear before the wake. 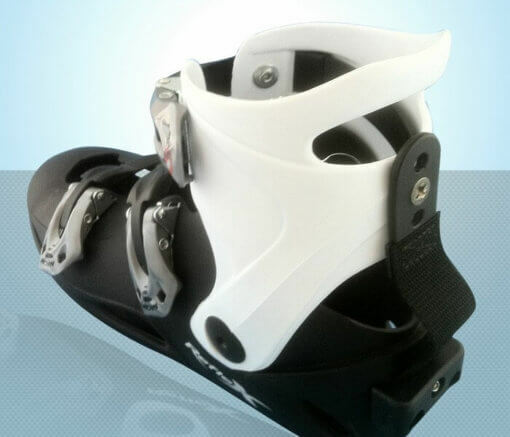 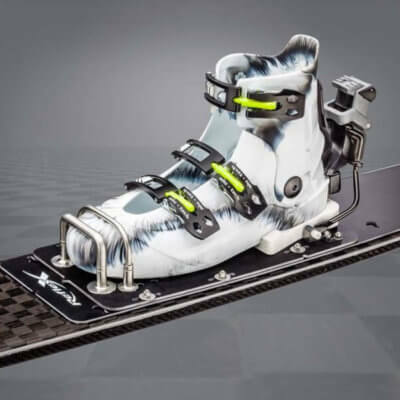 A flexion brake made out of webbing strap limits the forward flexion and allows the skier to have more power on the tip of the ski in the turn and increases protection for the Achilles.